For those of us still attached to good ‘ole paper, ink, and binding…bookmarks are a great way to keep track of where you left off. 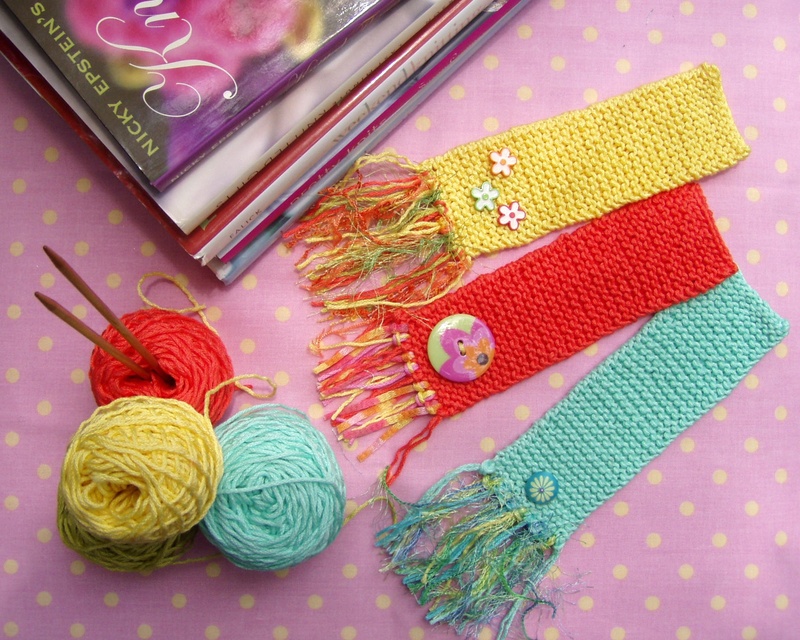 They are perhaps the simplest thing to knit…extra mini scarves, embellished however you’d like! I’m giving you a mini tutorial here. But in the near future I’ll be combining a few different patterns into one FREE pattern for you to download and print out. Be on the look-out for it! Embellish as you like. Click on each of the highlighted words above for a tutorial on How-2 do each step. Then click on any of the following highlighted words if you need instruction on how to Fringe or add other Embellishments. That’s it! So simple. Yet bold. **Variations: You can easily make your bookmark thinner in width or wider! 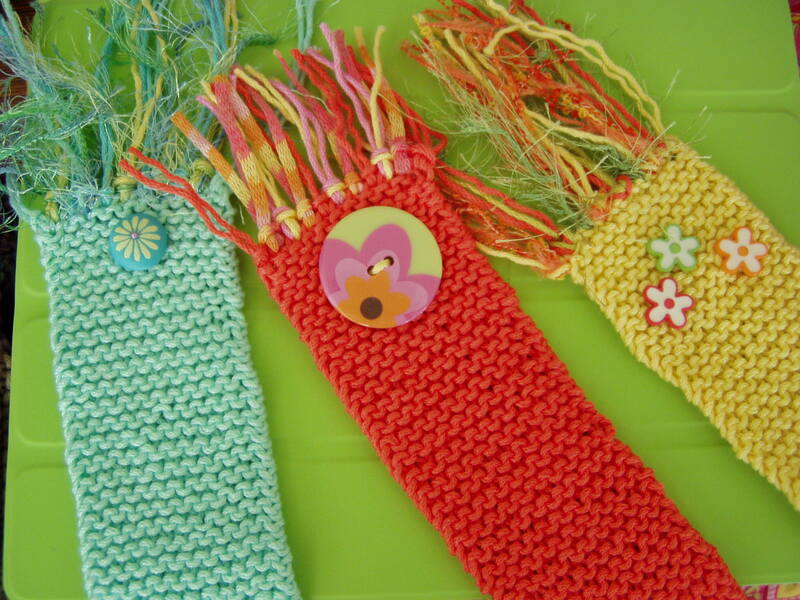 Simply cast on fewer stitches if you wish to have a thinner bookmark. OR Cast on more stitches if you want it wider. 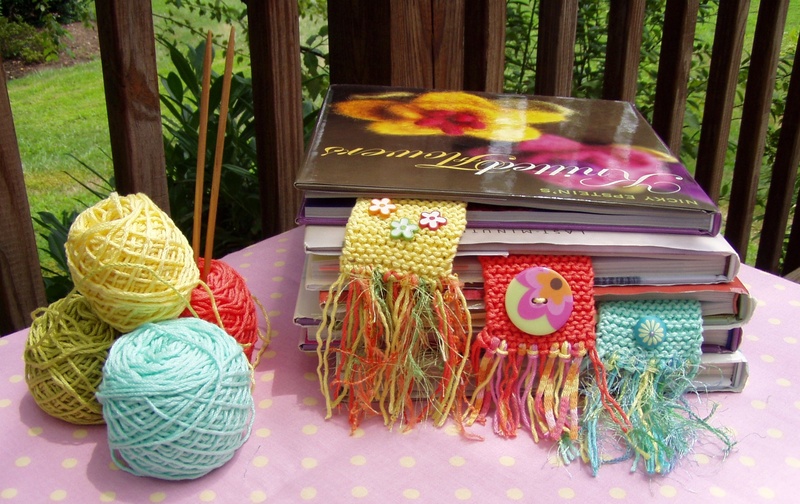 Keep on knitting beyond the 64 rows if you want your bookmark longer. OR stop sooner if you want it shorter. 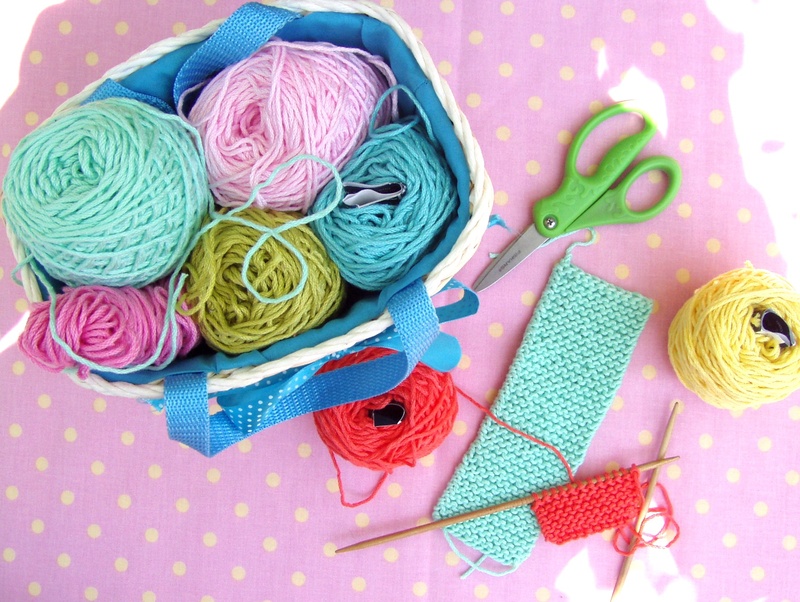 Remember: Be the Boss of your own knitting! Why not think like a designer right from the beginning? P.S. Though I’m terribly fond of traditional books, I do appreciate and enjoy the e-versions! I love my iPad and my husband can’t live without his Kindle. Rest assured I will be offering in future, patterns for you to both knit & crochet cases for all these wonderful electronic book machines!